Spring has arrived in the northern hemisphere, and along with it signs of rebirth and renewal. For Christians, the weeks leading up to the celebration of Easter act as a lens to focus on the death and resurrection of Christ. Death and rebirth. For the next four weeks we’ll look at how this time of rebirth can help us renew our commitment to self-care—to stay on course with MAPS. “If you could be any age again, what age would you want to be?” my student asked as she walked into class. “The age I am now,” I answered without hesitation. “Like cheese?” one of the kids mumbled. “What does that mean?” someone asked. “But you’re not that way now,” another student assured me. The groans confirmed my suspicions. Spring fever had hit my students, and they’d try any gambit to get out of the day’s learning objective. Spring fever aside, this conversation made me think of people I knew who seem generally dissatisfied with every decade of their lives. The older they get, the more desperate they became to live up to some invisible expectation. Failure weighs heavily on them. They often say things like, “I’ll never be as good as you are at _____.” Or perhaps, “I can’t seem to figure anything out. You’re so lucky that you’re good at _____.” On the surface, those statements seem like compliments. In reality, jealousy lurks behind the words. To help me understand my students’ dilemma and the psychology behind the not-so-complimentary compliments, I decided to read up on growth mindset. According to Carol S. Dweck, Ph. D., everyone approaches life with one of two mindsets: fixed or growth. A ‘mindset’ doesn’t indicate that you can’t change, it simply explains a way you see the world and your place in it. When a person adheres to a fixed mindset, they believe that they’ll have to cope with the hand they’ve been dealt for their entire lives. If a person makes mistakes, they blame it on their personality or lack of knowledge. Their mistakes validate their beliefs that they can’t learn or change. Likewise, a person may believe that their successes prove that they have above-average intelligence. They seek success because it validates them as a human and proves that the story they’ve told themselves holds true. In both cases, the person with a fixed mindset doesn’t want to take risks because failure would fail to affirm their beliefs about themselves. People with a fixed mindset see life as a competition to maintain the status quo. They gear their attitudes, behaviors, and expectations around their limited beliefs. A growth mindset works in the opposite way of a fixed mindset. People who have adopted a growth mindset see the world as full of possibilities—not place-affirming competitions. They believe that they (and everyone else) can learn, change, adapt, and grow. Adopting a growth mindset frees us from competition and the comparison game. Instead of seeing other people as threats to our talents, accomplishments, and successes, we see them as fellow travelers. We don’t have anything to prove to anyone else when we have a growth mindset, because we don’t need success to affirm our intelligence. Having a growth mindset allows us to view failure differently from people who have a fixed mindset. Failure simply means that we have not yet accomplished what we set out to do. It doesn’t mean that we, ourselves, are failures. 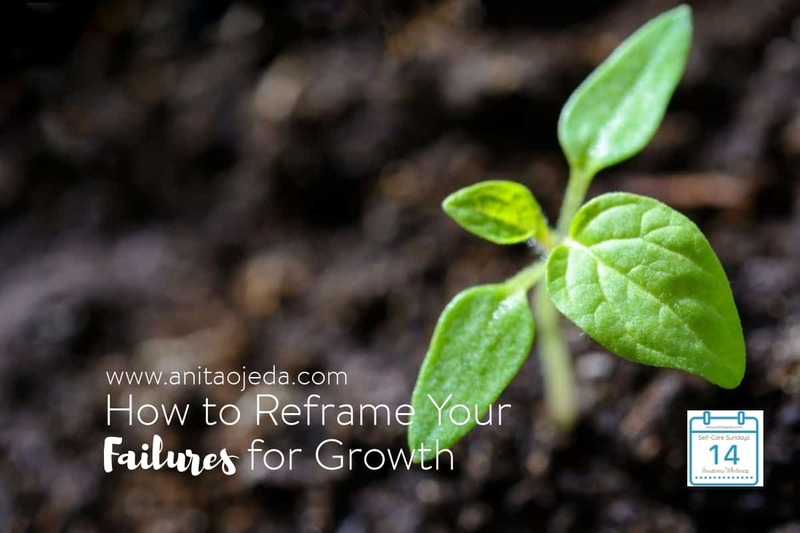 When we see failures as opportunities for growth, we discover freedom to try, fail, learn, and succeed. And that attitude constitutes the best form of self-care out there! The good news about growth and fixed mindsets might shock you. You choose your mindset. If you find yourself operating out of a fixed mindset, you can actually change this limiting belief and adopt a growth mindset. You don’t have to fear failure. Think about that Friday so long ago in Palestine. Jesus, the man some believed had come to save the Jews, hung on a cross between two common criminals. His mission had failed. He had neither rescued the Jews from Roman oppression nor saved the world. The sign that hung above him, “Jesus, King of the Jews,” mocked his mission. By the world’s standards, Jesus failed. But by heavenly standards, Jesus succeeded. In fact, his mission—salvation of mankind—has never died. Jesus didn’t die for us so that we could continue in our same old rut. His death on the cross and resurrection invites us in to a new kind of life—one where we partner with him to become the best version of us (Titus 3:4-5). Carol Dweck may have articulated what followers of Jesus have known all along. With Christ, we are a new creation. We can change our set-in-stone and fixed mindsets to ready-to-cultivate growth mindsets—because with God, all things are possible (Mark 10:27). Develop Community! The Inspire Me Monday link up exists to foster community among bloggers. Sharing Rocks! Visit and share the post in front of yours. Who knows, your audience may need to hear the words someone else wrote. Foster Encouragement! When you leave kind words on someone else’s blog, it inspires them to encourage someone else (maybe even you). Oh, Anita, reading your exchange with the students reminds me so much of my teaching days. I don’t miss the schedule, but I sure do miss the kids. I do think they help you stay young. I loved reading about a growth mindset. I agree 100%. Learning, expanding your horizons, staying active, and having a positive outlook keeps us young and vital. I never thought about it before, but seeing Christ’s sacrifice through a growth mindset makes all the difference. Anita, I love this post. I think years ago I was a fixed mindset, but that was in the past. I love having a growth mindset, because I can learn new things without being afraid. If I fail, I just try again. The failure doesn’t define me. Thanks so much for sharing your findings here. Blessings to you! Mindset is so important. “As a man thinks in his heart, so is he.” What a blessing that our outlook can change. I consider myself a forever young person at 57. There’s still a lot to learn, and Jesus didn’t die for us to be stale and frail old ladies, and I realize we may need healing or rest, even deliverance but He paid the price for it, and He loves us more than anyone ever could. If I had to pick an age, I would say 35 , that’s when I fully appreciated Him. Tell your class to enjoy where they are, we grow up soon enough. Have a blesses Easter. Anita, this is so good. I gave a speech once to homeschool mothers about the blessings of mistakes, our kid’s and our own. And hiw I was beginning to excitedly yell, “Yay for mistakes,” evertime my child made a mistake in math because it was an opportunity learning. And because he went back and tracked down the mistake and then redid it the right way, he would remember it better than if he got it right the first time. And the same apues for l of us. A lady came up afterwards and said I had explained the growth mindset. Thanks for explaining this so well and now I better see what she was talking about. That is one thing about being Christians, we are to be learning and growing better with age. Which I love. It is good news that we can choose our mindset. This brings to mind what we’re told in Proverbs, “As a man thinks in his heart, so is he”. Thanks for sharing. Blessings to you!